Looks like a gorgeous day out there. Let's hope the bugs have all gone or I'll be staying indoors all day. ...and on to today's card. 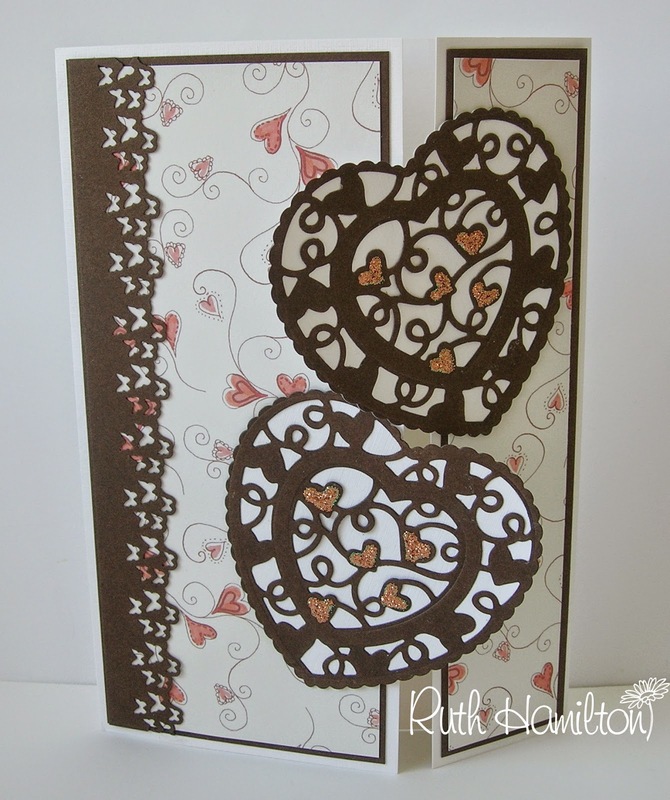 Lots of hearts on this one :) I made an "off centre" gatefold card with overlapping hearts cut with the Tonic Studios Affections "First Crush" dies and added a Butterfly border along the wider edge. The paper is Tonic Studios Birds on a Branch and I've added some Copper Stickles to match the hearts on the paper.